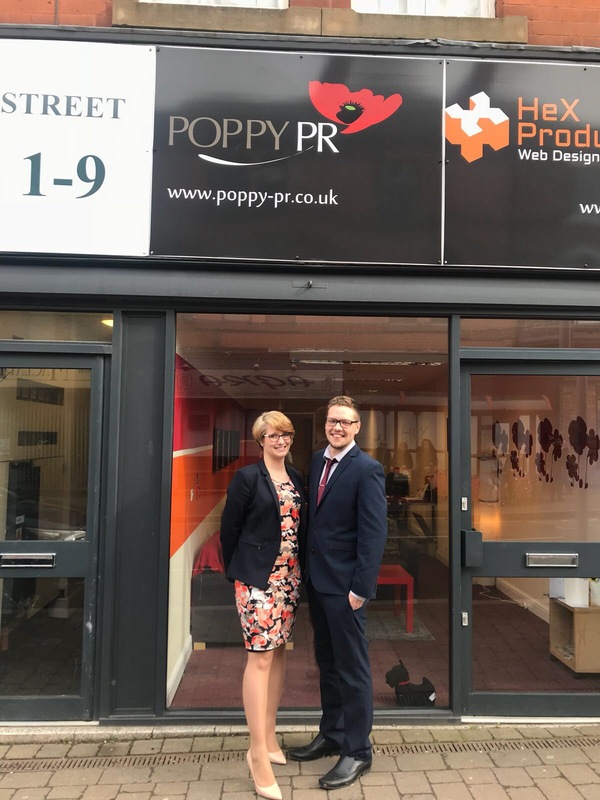 Ilkeston based Poppy PR has stepped its PR service up a gear, by hiring both a new social media manager and PR account manager. The duo, who both have previous experience in communications and marketing for the transport sector, joined the team earlier this month. Journalism graduate Bradd Farnsworth (24) and marketing expert Jordan Hazell (27) will set the cogs in motion later this month with a fresh outlook and new ideas. Since graduating from Bangor University with a degree in multimedia and journalism, Bradd has amassed a wealth of journalistic experience across the magazine, PR and transport sectors. He will draw upon his previous employment at Nottingham Cars as social media and marketing co-ordinator, where he was responsible for multiple campaigns which improved relations with local businesses by engaging with the wider community. Jordan graduated from Teesside University in 2013 with a degree in Management and Marketing and has since gained experience working for Blue Chip companies in internal and external communications. Her last role was at Hitachi Rail as communications co-ordinator where she worked very closely with the press on high profile projects. These projects included celebrating the first ever trains manufactured in the North East for over 100 years. Tina Clough (32) director of Poppy-PR told us: “Jordan and Bradd both came to me after we advertised the roles on Indeed and I was really impressed with Jordan’s wealth of experience, her attitude and her knowledge in securing press coverage for clients. After looking at her portfolio I was impressed by her sharp news writing style. I think that Jordan will be a great asset to our team and the clients will get on with her really well. “We are also over the moon that Bradd can join us as social media manager. I was first introduced to Bradd during his university studies when he joined us on work experience on a few occasions. Established in 2010, Poppy PR has executed major press campaigns for clients and secured news coverage in the tabloids, the broadsheets, and on national and regional radio programmes. The agency offers specialist public relations services to those in the property and construction industry, making it one of the only agencies in the Midlands to offer such a niche service.